If you are anything like us, you have too many bikes in your garage. A great way to make room for more is to hang them up from ceiling. 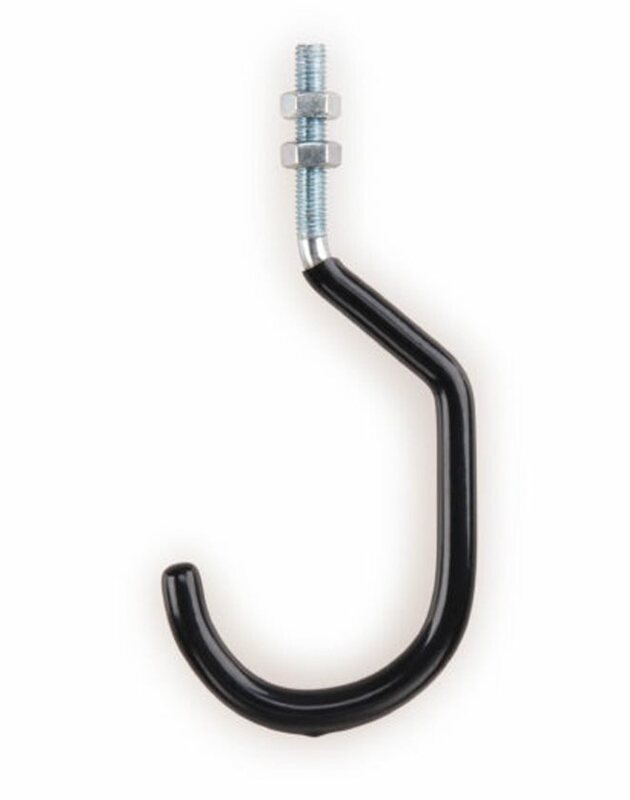 The Park Tool 450 Machine Thread Hooks are designed to do just that and will fit a standard sized mountain bike or road wheel. With 44mm length of machine thread and a scratch preventing vinyl coating, you'll be storing those bikes with no porblem at all. This is exactly what I was looking for my shop. With the machine threads it works great for the metal beams. Great solution for my storage. These hang the bikes just fine, they don't work well with my daughters plus sized bike though.